The days of manual accounting are over. Source data can be captured digitally, either by a click of a mobile device or by scanning. Even better, the information can be captured via the software itself via point-of-sale (POS). The diagram below represents the first step in organizing your firm to offer these services in a cost-effective manner. 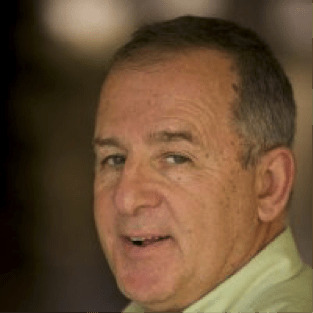 No matter the size of your firm, the first step is always going to be auto entry; meaning, how do I get the information into the accounting platform without manual entry? 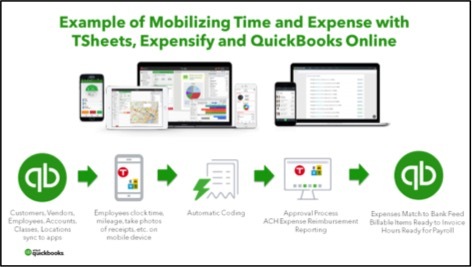 In my case, I am utilizing QuickBooks® Online (QBO) as the accounting platform because it is the world’s largest platform. First, we need the necessary system tools to complete the automation process and gathering of data. We need to ask ourselves additional questions besides where our data is coming from, such as, "Are we keeping track of time or will we use Value Pricing and Billing?" If you do both, then you need to find tools for your clients that are easy to use and require minimal to no training. 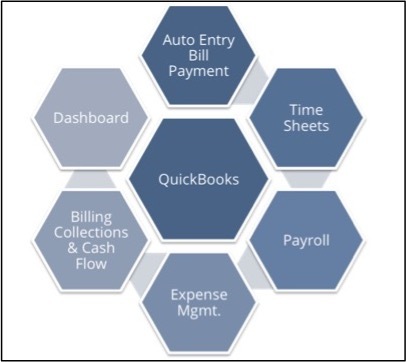 Payroll becomes an important component if your client has employees. If they have outside contractors as well, then the payroll program should handle both W2s and 1099s. Clients that have expenses to pay and employees to reimburse should have an expense management program so you as the accountant can track and manage these processes digitally. The next to the last step of the process in generically building the stack is the capability to bill and collect money. We want our clients to be able to go seamlessly from estimate to sales invoice to collection in a digital fashion. You will see this from one of the flow charts I have attached below. The last component of digitizing your client’s information and processes is a dashboard that enables them to see the results and make decisions on what to do next. Below, is an example of the Auto Entry Process with Hubdoc, which is one of my favorites. There are others such as ReceiptBank, or an app actually named AutoEntry. It’s necessary to check out all of the different features and functions to make sure it meets your client’s needs. 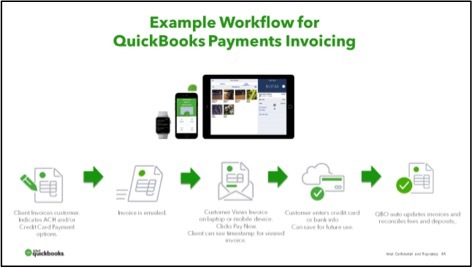 Once the data is entered and gathered, it should automatically flow through QBO into the trial balance in worksheet fashion. If you have done your job properly in setting up your clients’ chart of accounts, linked the bank and the credit cards, then you need to establish guidelines to ensure everything will flow properly. You can make decisions by looking at the dashboard (rather than running reports), and you will set this up depending on the needs of your clients. 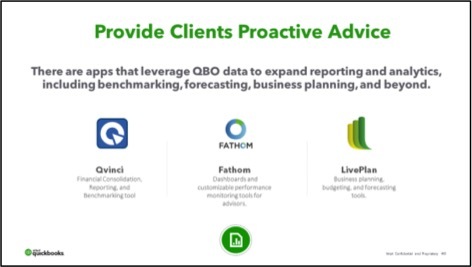 In this case, I put together some choices such as Qvinci, Fathom and LivePlan. There are other apps, but I chose these based on past usage and favorable reviews. 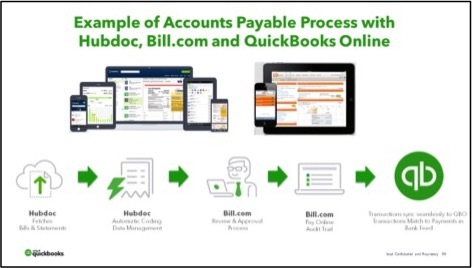 In each case, please note that the data flows automatically from QBO, and that I have not intervened to make entries on my trial balance at this point in the process. At this point, I have now built a tech stack, or process, for me to utilize with most of my clients. The charts below represent specific tools to choose from, based on the client’s needs, as well as the niche or area you specialize in. 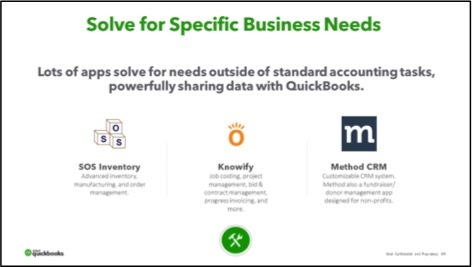 If Inventory requirements are greater than what is in QBO, I look to SOS Inventory, which is very robust. If I have a contractor, I might choose Knowify. And, if I want to add CRM then I look at Method, among others. My point is that, as an accountant, I don’t have to be an expert on hundreds of apps. I just need to know who my client is and what their needs are. After collecting this information, I check out the Intuit App Center – which has them broken down by category – and test them out. My final thoughts are: This is all about improving workflow, so look through the flowcharts that Intuit provides for ways to implement a tech stack for your clients and yourself.